Tonight, the series premiere of Growing Up Hip Hop Atlanta airs on WE tv at 10/9c. As part of the press roll-out to the national broadcast premiere, on Tuesday, May 16, Strategic Heights Media and WE tv invited me to the exclusive screening of the highly anticipated reality show, at the iPIC Theater in New York City, and let’s just say, I’ve found my new favorite reality TV binge show. Shad “Bow Wow” Moss, the celebrated child hip-hop phenomena, not only stars in the series, but he is also executive producer of the Atlanta branch of the franchise. 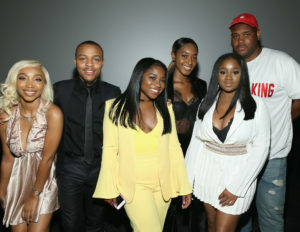 In addition to following the life of Moss, the program also showcases Shaniah Mauldin, daughter of Jermaine Dupri; Zonnique Pullins, daughter of Tameka “Tiny” Harris and T.I. 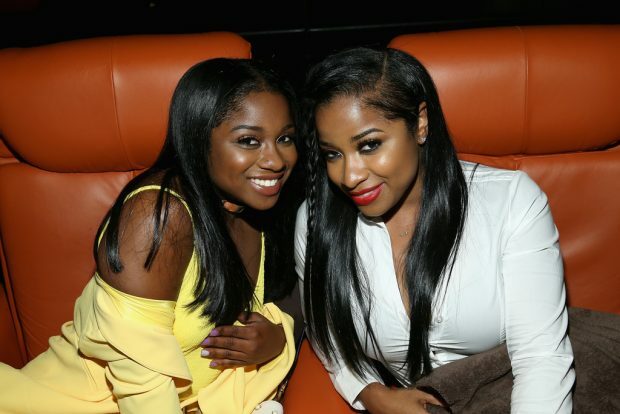 ; Reginae Carter, daughter of Lil Wayne and author Toya Wright; Ayana Fite, daughter of DJ Hurricane; and Brandon Barnes, the younger brother of Waka Flocka Flame and son of infamous hip hop manager Ms. Deb Antney. 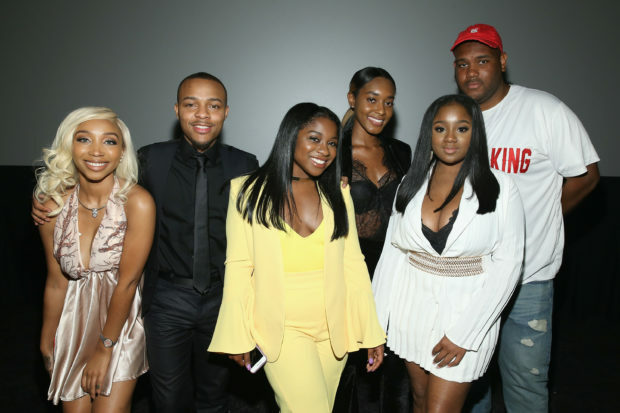 Jermaine Dupri, Da Brat, DJ Hurricane, Ms. Deb, Toya Wright, and Kristinia DeBarge, daughter of R&B singer James DeBarge and featured cast member on the original Growing Up Hip Hop, also came out to support the show’s launch. DeBarge even gave attendees a sneak peek of season two of the drama filled inaugural series, which is set to debut later at a later date. 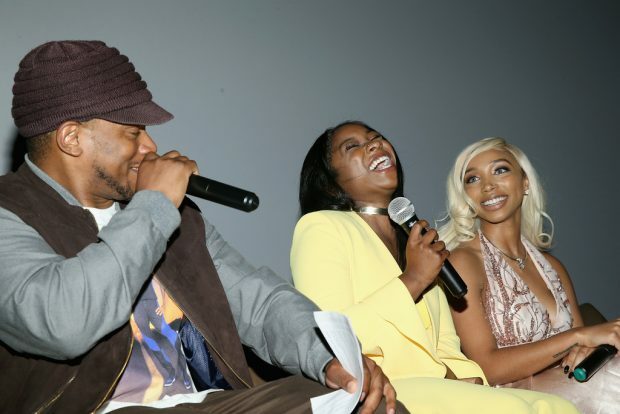 After the screening, cast members of Growing Up Hip Hop Atlanta answered questions on a Q&A panel moderated by Sway Calloway. Although reality TV is among one my favorite guilty pleasures, I was initially unsure about how the series would measure up to my expectations. In my opinion, the current reality TV market has become so oversaturated with stories told from the perspective of attractive, wealthy, and entitled young adults, that the plotlines are just too predictable. Could Growing Up Hip Hop Atlanta bring something fresh to the table, breaking ratings records with its authentic capture of sincere moments of vulnerability, or would it be another formulaic “unscripted” show featuring fabricated drama? This skepticism only further increased in the wake of the highly trending #BowWowChallenge incident. After all, Moss was on his way to New York City for the Growing Up Hip Hop Atlanta press tour when he made the rookie mistake of posting an uncredited stock image accompanied by a vague caption on his Instagram that gave followers the wrong impression about his travel accommodations. Was this careless publishing of “alternative facts” karmic foreshadowing of what audiences could expect from the show? Though hesitant, I did my best to keep an open mind and not allow any preconceived judgments cloud my own. As it turns out, Bow Wow’s lack of fluency on “the gram” wouldn’t be the only thing to surprise me that week; the premiere episode of Growing Up Hip Hop Atlanta was a lot more interesting and entertaining than I had originally anticipated. I actually really enjoyed it! Of course, the show had its fair share of classic reality TV plot devices that err on the side of inauthenticity—such as first-person green screen “confessionals,” or frequent “impromptu” visits to practically deserted boutiques and restaurants. However, in the case of Growing Up Hip Hop Atlanta, these moments were often overshadowed by a number of unexpected twists and moments of organic sincerity. Although most are aware of past professional and creative collaborations between the celebrity parents of the featured cast, many probably underestimate the extent of how deep these relationships really are. As a result of their parents’ relationships, Pullins, Moss, Carter, Mauldin, Fite, and Barnes have actually known each other for years, with history dating so far back, their friendships are more reflective of familial bonds. There was even a point where Carter and Pullins sang together in the girl group The OMG Girlz. And since everyone has known each other since back in the day, the chemistry between cast members is not only genuine, it’s dynamic. Although I walked in assuming that, other than Bow Wow, these kids were simply the spoiled beneficiaries of nepotism and extreme privilege. However, I could not have been more wrong. Sure, they may have moments of bratty-seeming soundbites on the show, but in actuality, each one was very humble and down to earth. Carter, Fite, and Mauldin, in particular, didn’t even appear all that interested in pursuing a career in the music industry. A former member of OMG Girlz and the daughter of prodigy rap lyricist Lil Wayne, Cater mentioned that she was currently working with her mother to pen her first novel. Fite, who can be seen discussing how she quit her job as a retail manager within the first few minutes of the episode, clarified during the panel that she didn’t quit her job because she didn’t enjoy working. Rather, at that time, she was also trying to develop her own clothing line, so she took a temporary hiatus from her retail position to focus on her designing aspirations. She also mentioned that, now that her line is complete, she has since returned to the former retail gig. Meanwhile, Mauldin, whose status as music mogul Jermaine Durpi’s daughter would theoretically allow her to transition into any facet of the music industry with ease whenever she wanted, is in school pursuing a college degree. Perhaps the most reserved of the bunch, it’s clear that, much like her father, Mauldin’s no-nonsense work ethic will lead her down a successful career path of her own making. Contrary to previous reports about Bow Wow’s “retirement from hip hop,” I don’t think he will ever actually be done with recording music—at least, not until mentor Dupri is finally satisfied with the well-rounded, mature quality of his send-off album. 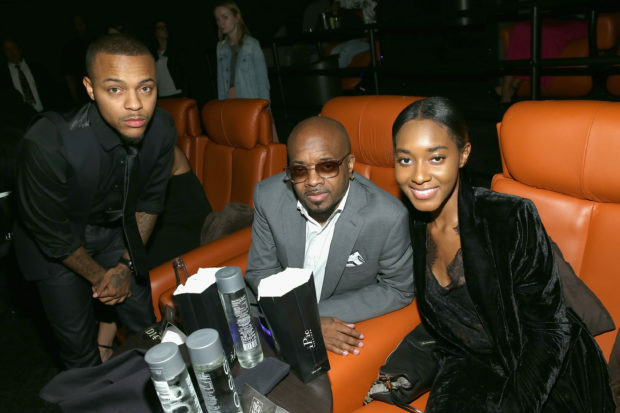 Dupri certainly didn’t seem all that impressed by Bow Wow’s most recent album, Ignorant S***, which he impulsively recorded with Soulja Boy in one night. You can find out how everything unfolds when the broadcast premiere of Growing Up Hip Hop Atlanta airs TONIGHT, May 25, 2017, at 10/9c. Catch it right after the season finale of Braxton Family Values, only on WE tv!